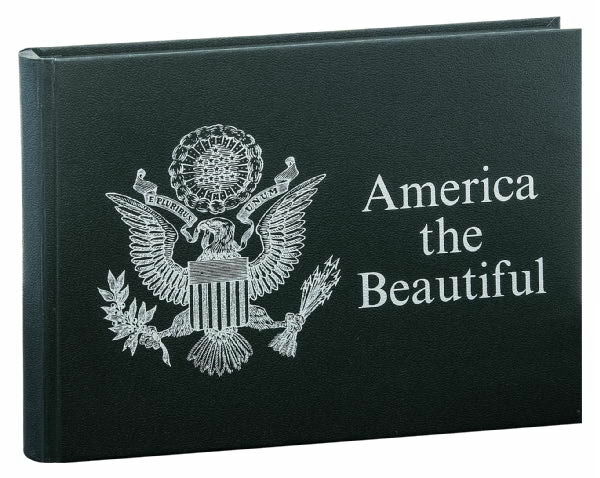 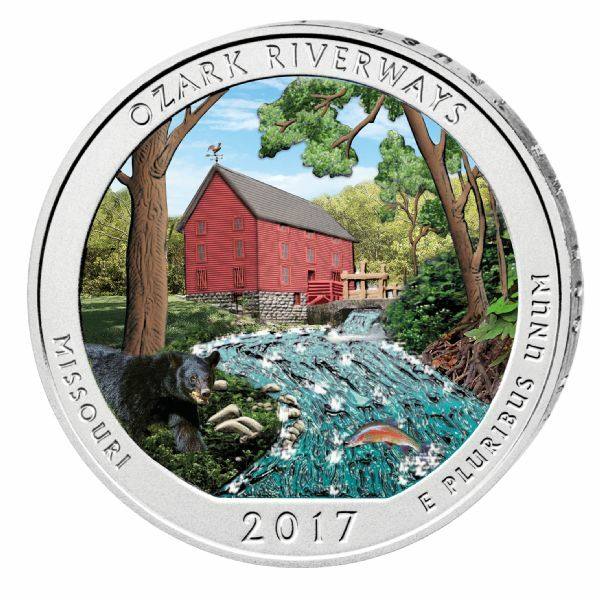 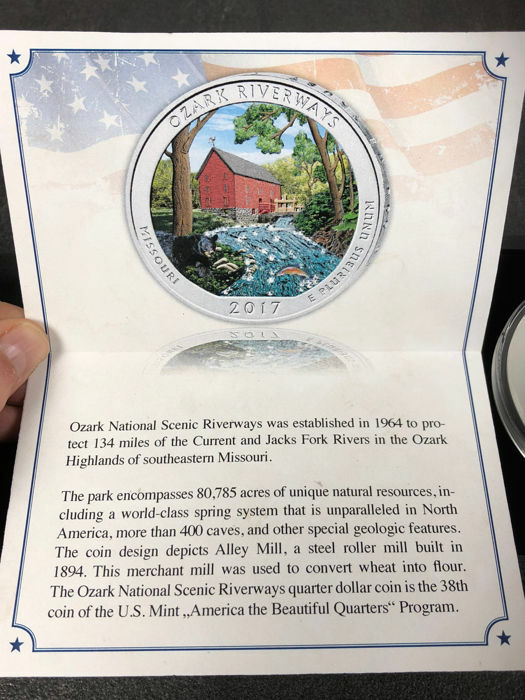 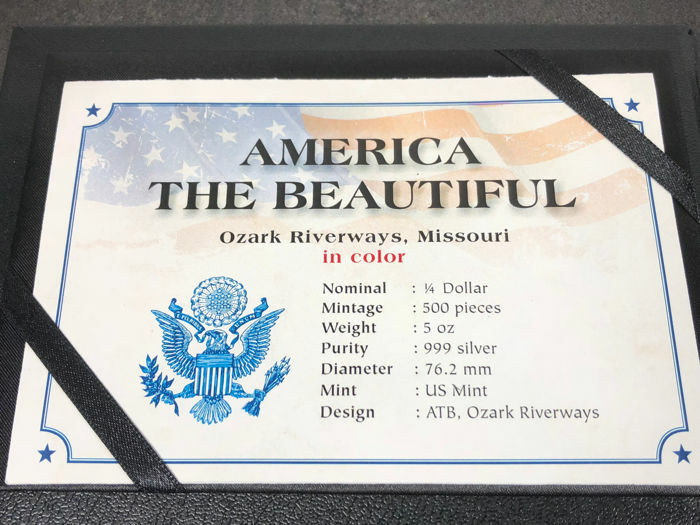 The latest edition of the US Mint 5 oz Ozark Riverways. 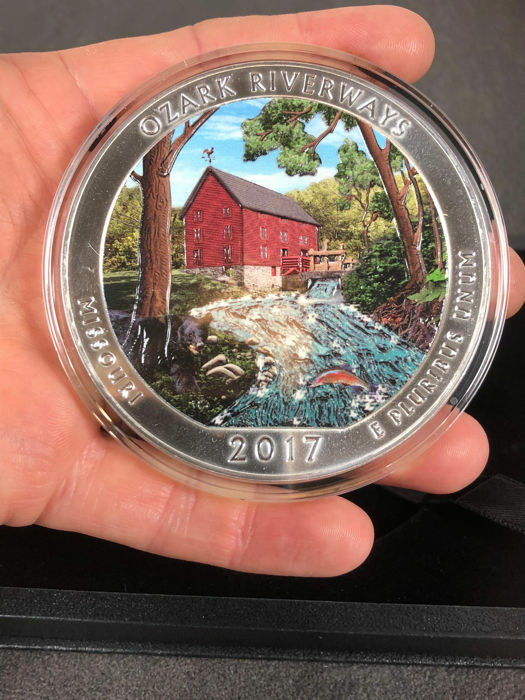 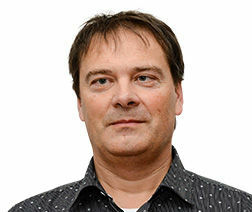 ** Colour edition - edition of only 500 coins**. 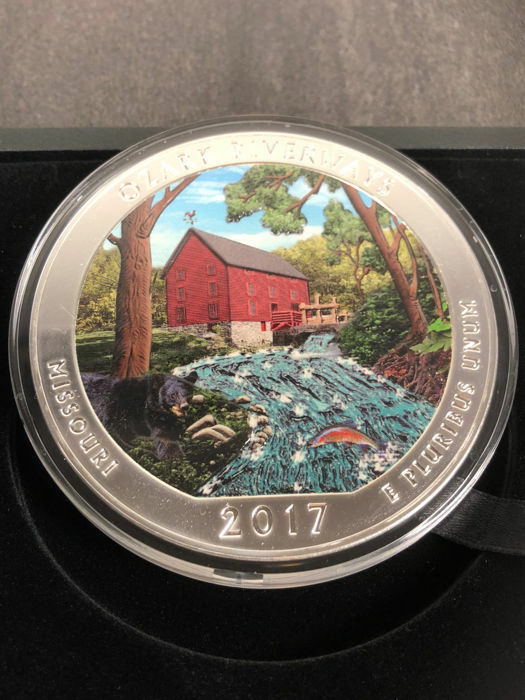 Exquisitely and elaborately finished in colour, the edition shows the Alley Mill wheat mill built in 1894 on a tributary of the Missouri River. 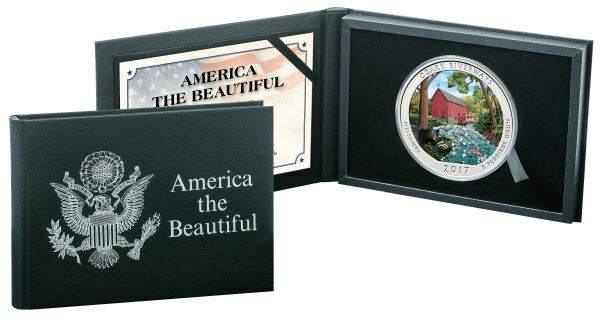 On the back is the first US president, George Washington.